Where To Stay In Lisbon Portugal? How Long To Stay In Lisbon Portugal? 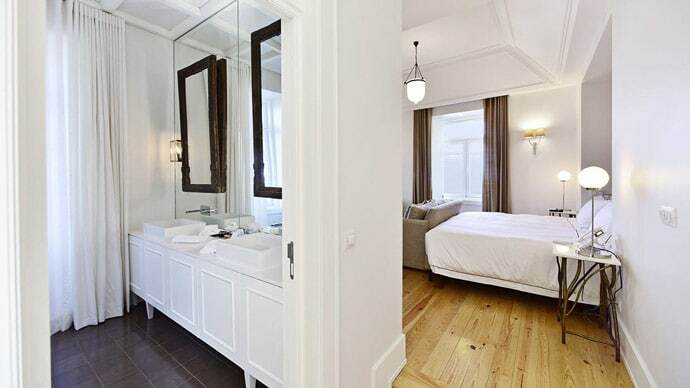 Where is the best place to stay in Lisbon Portugal? When it comes to deciding where to stay in Lisbon, the best option is definitely Lisbon city centre. Within the city centre, you have the Lisbon neighbourhoods of Baixa, Chiado, Bairro Alto, Principe Real, Alfama and Graca. Here is our Lisbon neighbourhoods guide. Baixa is one of the main touristy areas of Lisbon and is home to many sights such as the Praca do Comercio, thus making it perhaps the best area to stay in Lisbon for sightseeing. The main downside to staying in Baixa is it might seem too touristy at times. 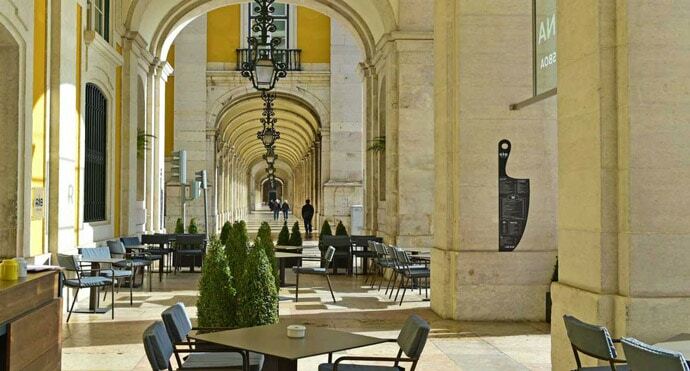 Chiado is another great option, still very central, and home to many local and international shops and restaurants. Bairro Alto sits above Chiado and is home to much of Lisbon’s nightlife. Bairro Alto is the best place to stay in Lisbon for nightlife. One of my absolute favourite areas of Lisbon is Principe Real. 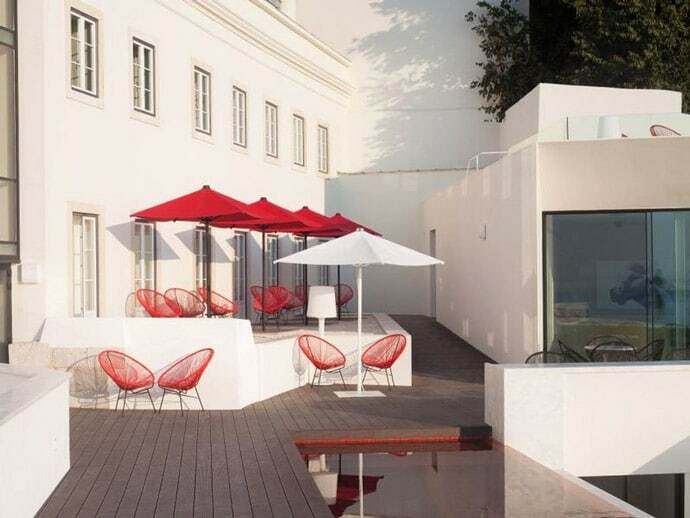 Principe Real is towards the top of the hill and has beautiful views over Lisbon, green parks where you’ll see the locals playing cards, boutique shops and some of Lisbon’s best restaurants. It has such a beautiful neighbourhood feel. Nearby here you will find Miradouro de Sao Pedro de Alcantara, a beautiful lookout over Lisbon. 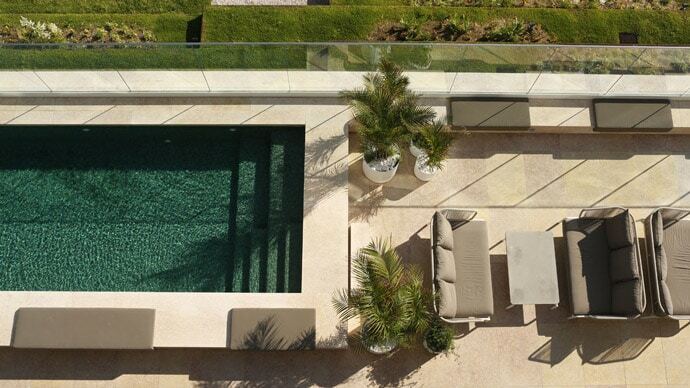 Principe Real is one of the best neighbourhoods to stay in Lisbon. 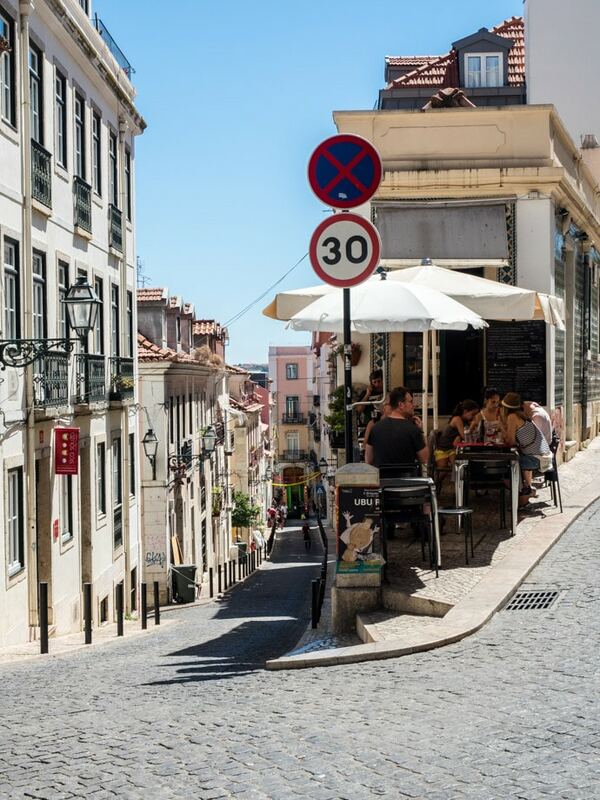 Alfama and Graca are some of the most traditional neighbourhoods in Lisbon. They have a similar feel with Graca directly up the hill from Alfama. 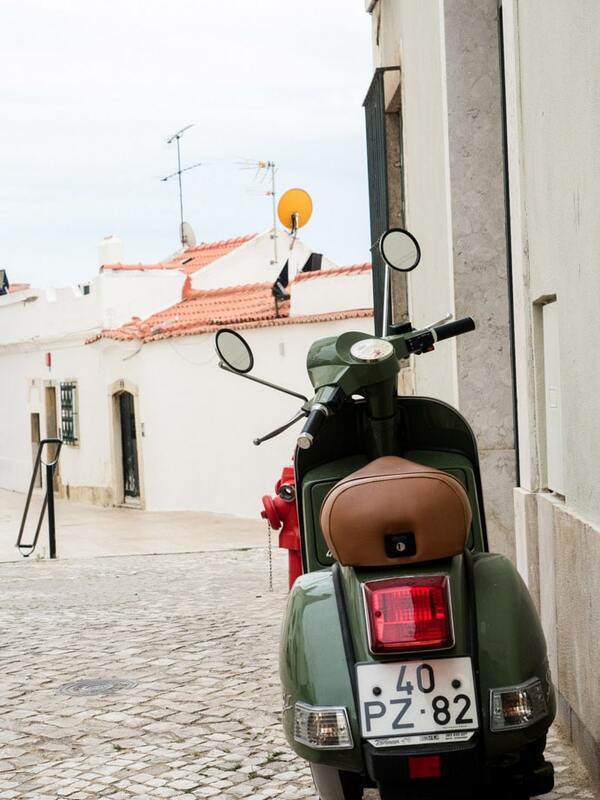 We stayed in Alfama and loved it. You can explore the streets forever, with the beautiful tiled and colourful homes, often with laundry hanging in the streets. One of my favourite desserts in Lisbon is in a little store in Alfama. 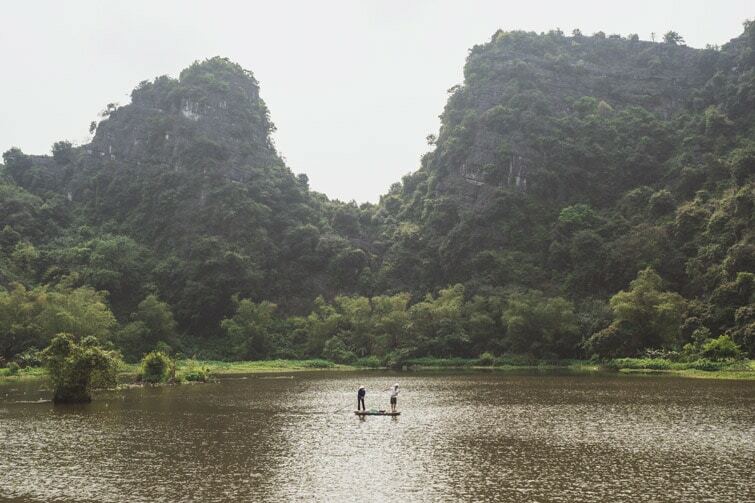 Stay here if you want to be surrounded by a maze of beautiful streets and local life (admittedly overly touristy at times, but there are enough streets to still escape it). 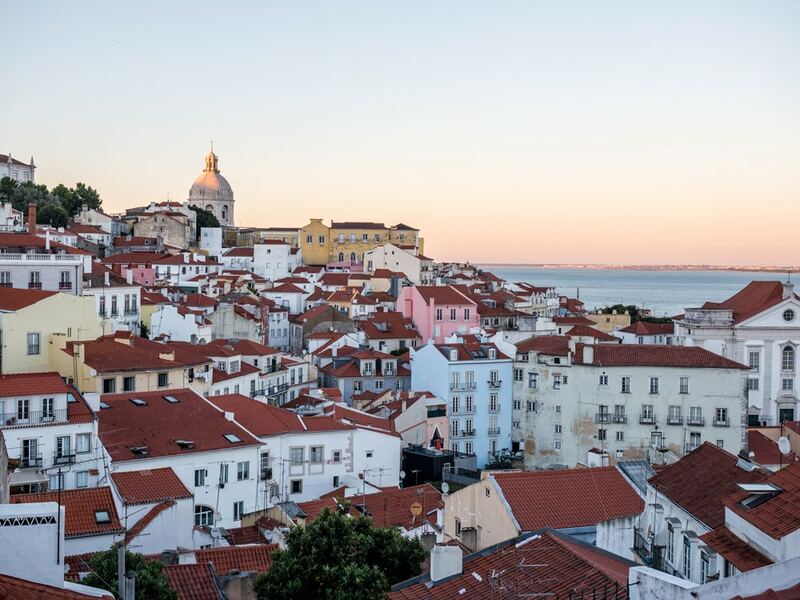 Alfama is the best area to stay in Lisbon for character and charm. Belem is another area of Lisbon, a little further away. You will most likely visit here for the day to see sights like Belém Tower and Jerónimos Monastery, and of course to taste the delicious Pasteis de Belem. So if you have a short stay and know that one of your days will be spent here, staying in Belem might be worth considering. But if you’re staying in Lisbon for more than a few days, and especially if it’s your first time in Lisbon, I would stay in one of the Lisbon neighbourhoods mentioned above instead. Belem is just that little bit too far away to make going out for dinner, seeing all the sights and exploring other areas, easy. Definitely possible, just not the easiest option. 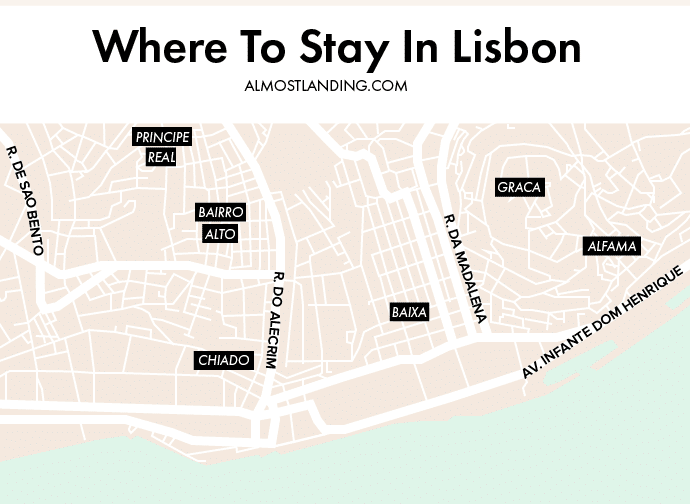 So my overall favourite picks for where to stay in Lisbon are Alfama, Chiado and Principe Real, but all of the neighbourhoods mentioned above are great options depending on what you personally want out of your holiday. Here is our where to stay in Lisbon map and Lisbon neighbourhoods guide. How Long To Stay In Lisbon? There are so many amazing things to do in Lisbon, delicious places to eat, interesting neighbourhoods to explore, that we think at least 4 days in Lisbon is needed to get a feel for this beautiful city. If you plan on doing day trips to Sintra or Cascais, then you can add at least one day for each (you might need 2 days for Sintra if you want to see lot’s of things there). And there are lot’s of other day trips from Lisbon, so again, just add on a day for each that interest you. 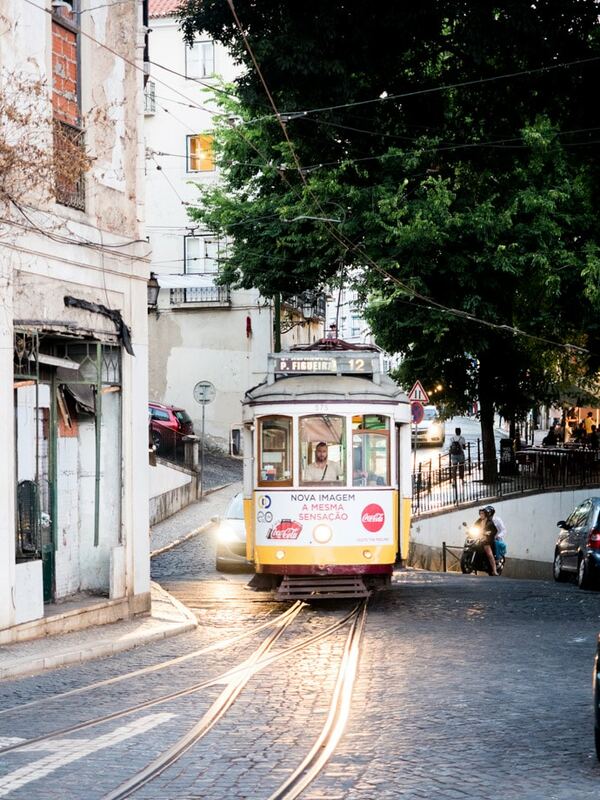 If you want to have a leisurely trip to Lisbon, then a week in Lisbon would be great. When booking accommodation in Lisbon, there are two main websites that I use. 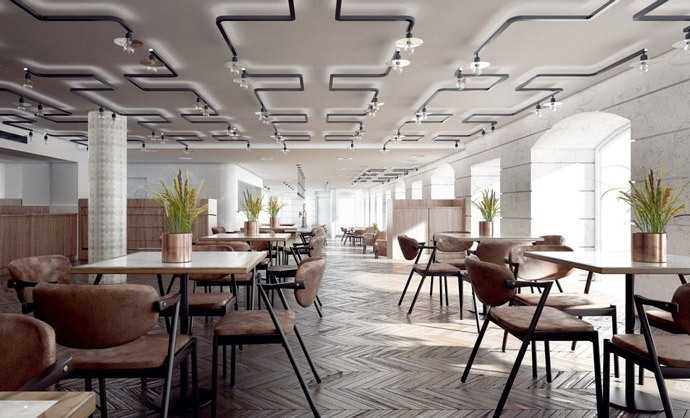 Booking.com has some of the best prices and a large number of accommodation options available, so you will be sure to find all of the best places to stay in Split Croatia. 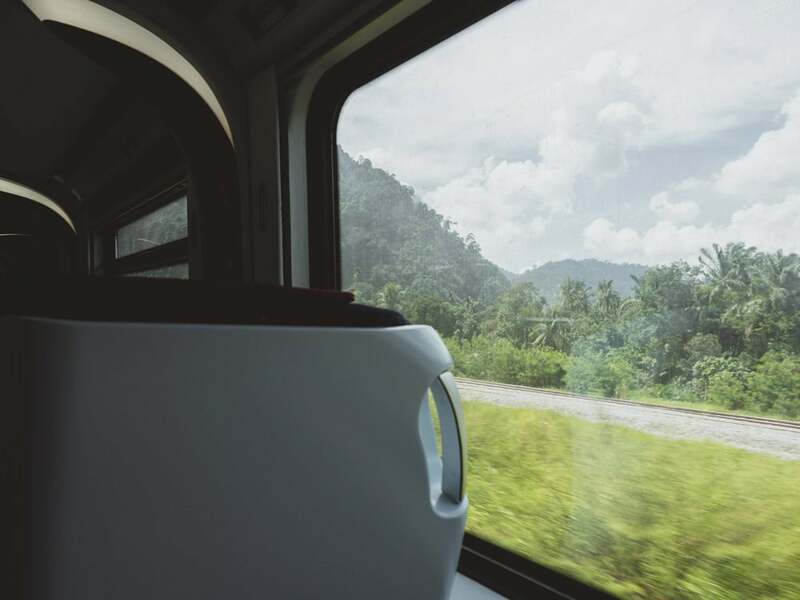 We love using it for our travels. We have put together a guide of our favourite accommodation in Lisbon from our experience of our time there and research. 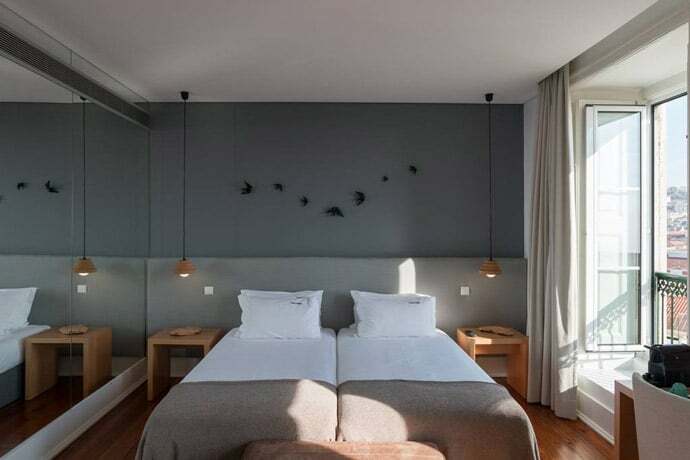 This includes the best 5 star hotels in Lisbon, the best boutique hotels in Lisbon and apartments in Lisbon and the best hotels in Lisbon city centre. 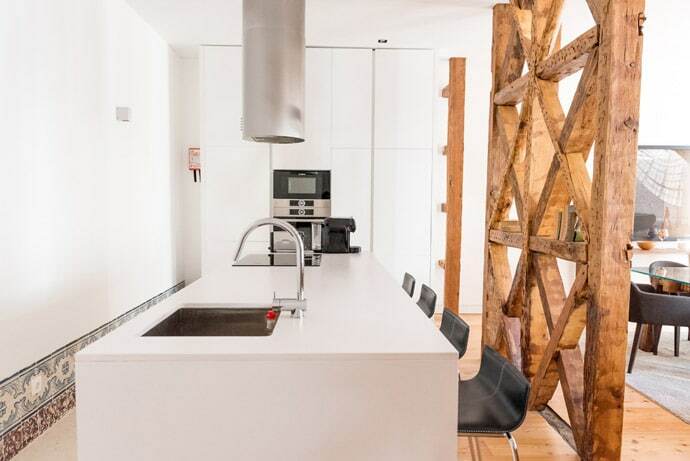 We will continually update this post to make sure we’re recommending the best Lisbon Accommodation, to help you choose where to stay in Lisbon.